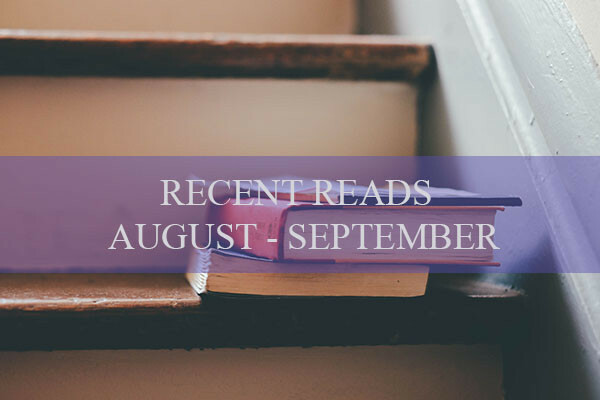 Here are my recent reads for the end of the summer (August and September). 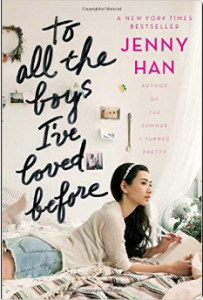 To All the Boys I’ve Loved Before | Type: Novel/Fiction | Rating: 4/5 – To All the Boys I’ve Loved Before is a YA novel about a teen who writes love letters to all of her crushes and has to deal with the fallout when the letters she never intended anyone to see somehow get mailed. She never intended for her crushes to actually see the letters. It was a breezy read perfect for anyone who likes to read the more light-hearted of contemporary YA books out there (i.e. no paranormal or dystopian story lines). 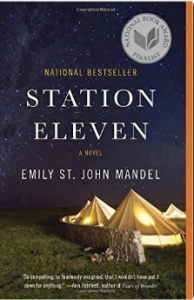 Station Eleven | Type: Novel/Fiction | Rating: 4/5 – A far reaching flu pandemic changes the modern world as we know it in this post-apocalyptic novel. Years later a travel acting troupe who performs Shakespeare every where they go face a religious zealot who threatens the life the troupe has carved out for themselves in the new world. The interconnected stories of the characters before the pandemic and after weave this haunting story together. Though I read across the board from all genres, this book is definitely a departure from the type of books I’m usually drawn to. This would be a great novel to discuss in a book club. It definitely warrants conversation, the characters stick with you. 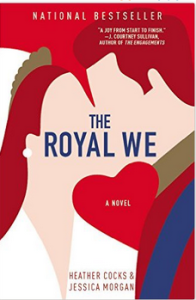 The Royal We | Type: Novel/Fiction | Rating: 4/5 -This fictitious take on the Royal couple (Will and Kate) features an American protagonist named Bex who while studying abroad in England befriends Great Britain’s future King. The book takes you through several romantic twists and turns to see if this unlikely couple will have their happily ever after. I thought I’d get a couple of chapters into this book and let it go, but much to my surprise I devoured it. It was a great light read. I don’t follow news about the real Royal couple too much. But you don’t have to be an existing fan of the Royals to like this book. It was love story with a cool setting that is a great option to take along on your next vacation. 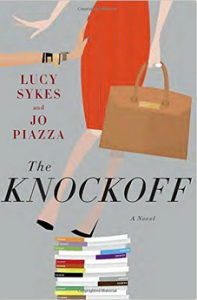 The Knockoff | Type: Novel/Fiction | Rating: 4/5 – This book focuses on Imogen, the Editor-in-Chief of a fashion magazine called Glossy who returns to work at Glossy after a six month medical leave to be surprised at all of the changes that took place while she was away. Her former assistant Eve, a recent Harvard Business School graduate, made drastic staff changes including firing more seasoned (older) staff members and running the company like a tech start-up. Imogen is forced to figure out how to manage the huge changes in culture and technology at her magazine and deal with her aggressive former underling. Anyone who has worked in a professional office environment has run into office challenges presented in the novel such as office bullies, under-appreciated staff, ageism, organizational restructuring/changes, among other things. The Knockoff had a likable protagonist you wanted to root for which is definitely not necessary in all books, but can be enjoyable for a lighter read like this one. 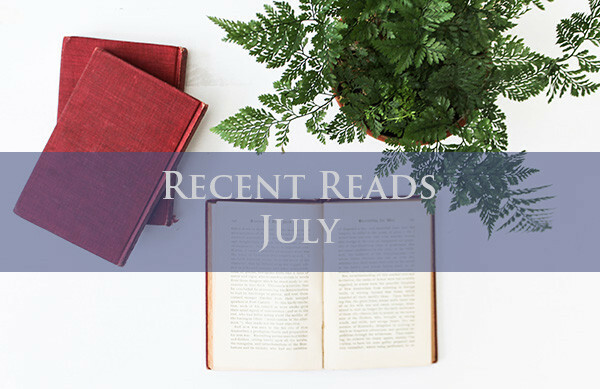 Here are my recent reads from the month of July. 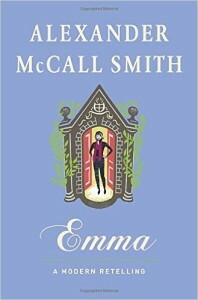 Emma: A Modern Retelling | Type: Novel/Fiction | Rating: 3/5 – I’m a fan of Jane Austen novels, so this retelling from Alexander McCall Smith who I am familiar with from his No. 1 Ladies Detective Agency caught my eye while perusing a local bookstore earlier this summer. But I have to say, I was pretty underwhelmed with this book. The characters were a bit lackluster to me and I didn’t really care for McCall Smith’s version of Emma. She was a bit too self-centered and her redeeming qualities didn’t come through enough for me. Next time I feel the need to revisit Emma, I’ll read the original or watch my modern day variation, the movie, Clueless. 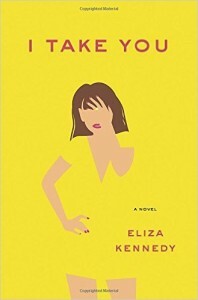 I Take You | Type: Novel | Rating: 3.5/5 – This book honestly wasn’t a favorite, but was entertaining enough. Lily is a promising NYC lawyer who seems to have it altogether with her career and a handsome fiance. But things start to unravel during her wedding weekend when she is forced to take on a challenging case, managing family dynamics, and deal with the double standards women face when it comes to love and marriage. 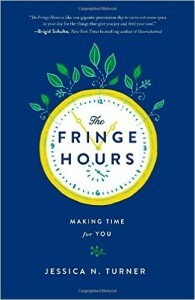 The Fringe Hours | Type: Non-Fiction/Creativity | Rating: 4/5 – I learned of this book via the Lively Show Podcast earlier this summer. Turner interviewed women who were from different walks of life (mothers with young children, wives, single professionals) and asked them about how they managed work life balance and making time for themselves for creative outlets and hobbies. This book was a quick read and I enjoyed learning how the author who is a wife, mother, and full time employee makes time for hobbies, a successful blog, and book-writing. After all if she can carve out time for these things, I have no excuse! 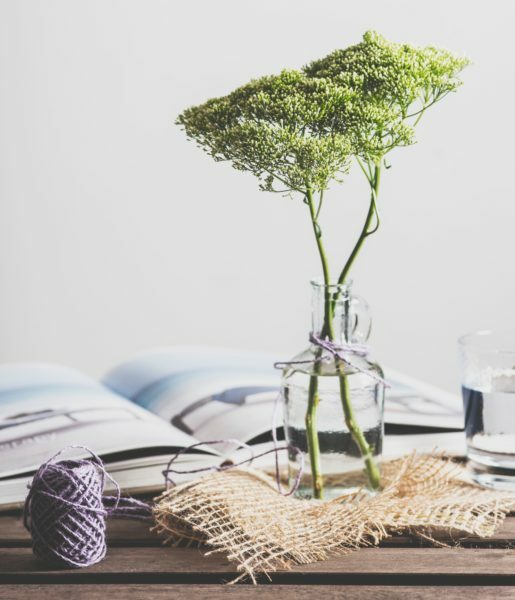 After reading this book, I felt recommitted to making time for my hobbies and creative pursuits a priority. 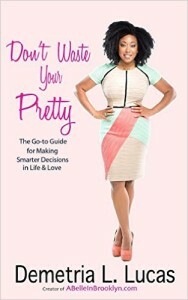 Don’t Waste Your Pretty | Type: Non-Fiction/Advice & Relationships | Rating: 4/5 – I enjoyed Demetria Lucas’s first book, A Belle in Brooklyn so I added her latest book to my list when I learned about it. Overall, I thought all of Lucas’s advice was spot-on. She offers advice for most life situations (Married/Single/Dating), but I would most likely recommend it to my single friends. I wasn’t a fan of the book being entirely Q & A, but I understand why the book was structured like that since her advice originates from answer real questions that people ask her on social media. 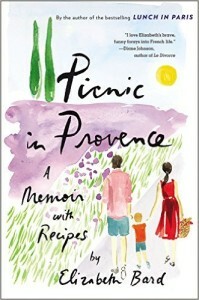 Picnic in Provence: A Memoir with Recipes | Type: Non-Fiction/Memoir & Recipes | Rating: 4/5 – Bard is an American expatriate who relocated to France to live with her French husband. This book is a continuation of Bard’s first memoir that recounts how she met and married her French husband and they started their life together in Paris. In this book, Bard’s husband navigate parenthood, a move to Provence, and starting an ice cream store business. I enjoyed this book for the glimpses of every day French country life from an American’s perspective and the delicious-sounding recipes included at the end of each chapter. This is a good read to pack for any vacations you have during the remainder of the summer. If you’re looking for books to add to your summer reading list, here are a few of my recent reads. An Untamed State | Type: Novel/Thriller | Rating: 4/5 – This book while riveting, it is definitely not a chill beachy read to pack on your upcoming vacay. It’s a harrowing page-turner that kept me thinking about the protagonist long after I finished it. This story of a privileged Haitian American woman who gets kidnapped for ransom in broad daylight while in Haiti visiting family. The book delves into issues surrounding class, family issues, socio-economic politics, racism, and the experience of being an immigrant from an impoverished country like Haiti. It’s not a light read. I just became familiar with Roxane Gay’s writing this year (and awesome Twitter account), but I’m officially now a fan. Queen Sugar | Type: Novel/Romance/African American Interest | Rating: 5/5 – I didn’t think I’d enjoy this book as much as I did, but once I finished it, I felt like flipping the book to the beginning and starting again. Charley Bordelon’s father passes and leaves her many acres of sugar cane land in his hometown in Louisiana. So, Charley, a widowed single mother packs up her daughter in LA and heads to Louisiana to become a sugar cane farmer. Will Charley be successful in changing her life and saving her farm? Definitely read the book to see what’s in store for Charley the host of lively characters in the book. I read recently that this book was going to be turned into a TV series by Oprah and I really hope that happens, I’d definitely tune in. The Misadventures of an Awkward Black Girl | Type: Rating:Humor/Memoir | Rating: 5/5 – I love Issa Rae’s webseries (also titled Awkward Black Girl), so I knew I would actually go out and purchase this book when I heard about it. I rarely buy books these days but the laugh out loud passages in this book will definitely be re-read at some point, so I’m glad I have my own copy. 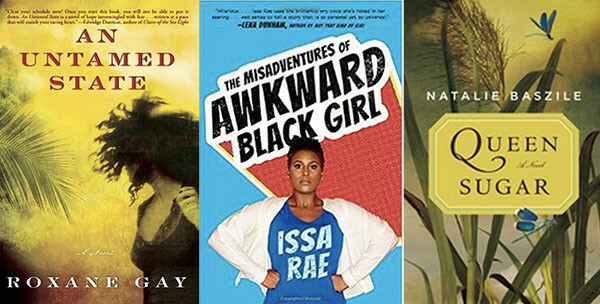 Whether you are black or not, if you can relate to being an awkward, introverted teen or young adult and not quite fitting in, this book to is a great addition to your reading list. 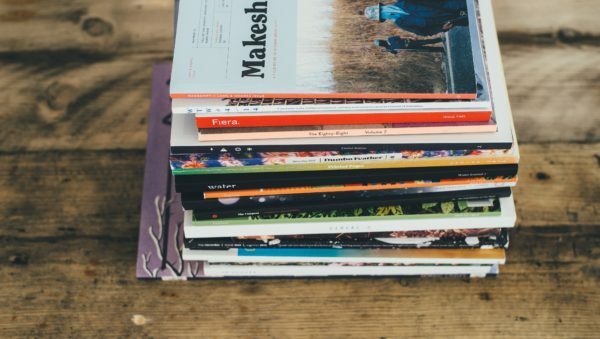 What have you read lately? What books are you planning to read this summer?